Born without magic, Joram was one of the Dead, denied the throne of Merilon. For years, he lived among outlaws, surviving by wit and sleight-of-hand. Now, wielding the powerful, magic-absorbing Darksword. Joram returns to the enchanted Kingdom that once was his home to win revenge and claim his birthright. Here he will test Bishop Vanya and his fierce army of Duuk-tsarith in a battle unlike any their world has known. Joined by the scholarly catalyst Saryon, the young mage Mosiah, and the trickster Simkin. 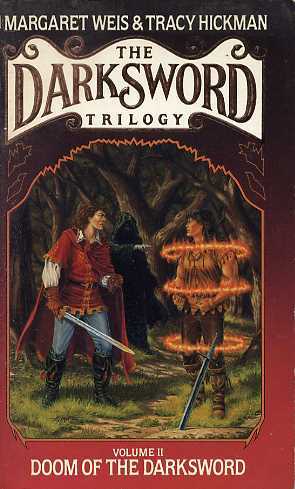 Joram confronts the shattering secret of his past and discovers the ancient prophecy that puts the fate of the world in his hands--the hands that forged the Darksword.